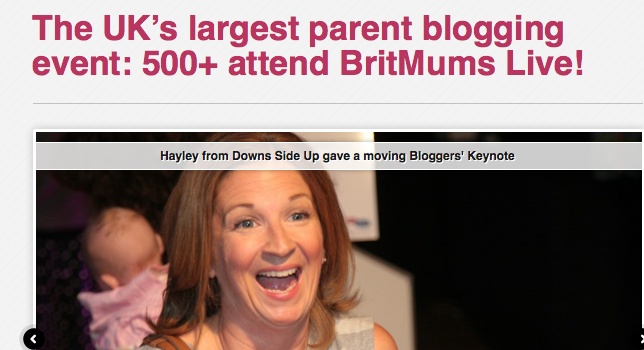 This sounds ridiculous, but attending Britmums Live last year was one of the high points of my entire life. I was terrified about going, a country girl from Cornwall who is happier in wellies and playing with my chickens. I'm uncertain in London, a fish out of water. I knew no-one other than a couple of chats online with Kateonthinice and RenataBPlus3. I had been asked in advance if I would read at the keynote speeches (on a stage in front of lots of accomplished writers!) YIKES! I was also shortlisted in the Inspire category of the BiBs. Again a very scary and proud moment. Well, in a nutshell I arrived, terrified and shaky, the butterflies met me and put me at my ease. I wandered around looking for those I might know, staring at stands and feeling overwhelmed, looking at a timetable of workshops that I couldn't decide between because I needed them all. This feeling didn't last long, everyone was so supportive and friendly, and once the naked wine buffs came out in the evening, I had found Kate and Renata to share a giggly glass of Prosecco and the awards ceremony with. So many of those I had voted for won, the mood was electric. The next day was one of serious note-taking. I felt like a student who wanted to gain every last drop of knowledge from the speakers. But the nerves about reading at the keynote were mounting. I recall several chats with lovely people who told me I'd be fine. Darling HerMelnessSpeaks being one of them and I will never forget how her confidence in me made me feel. Well, it came to the speech. It was emotional. I shook so hard I thought I was going to faint. I cried. People brought me tissues. People cried. I stopped, caught my breath, repeated my message. Then there was a standing ovation. I just saw it start in front of my eyes, which have tears in them remembering the moment. I have never felt so surprised or proud in my whole life. I didn't even know I had in in me to get on that stage. DoingItAllForAlenya helped me walk back to my chair and held me tight until I stopped shaking and crying. In short, leaving my children for the first time with my ever so capable husband and doing something completely for me since the birth of my children, not just a relxing treat but something that made my brain shake alive was a turning point for me. I can trully say tha Brimums changed my life forever and I will never look back. Read Thank You For Having Me which I wrote in the post Britmums Live glow, when they gave me a Blogger of the Week award. Well this year the wonderful ladies at Britmums have asked me to speak, or at least be on a panel during an actual workshop. I'm not sure if I feel a bit of a fraud, but I hope you will enjoy joining us. And my humble blogette has been shortlisted in 3 BiBs categories this year: Inspire, Commentary and Outstanding. Eyes: Grey/blue, often red and tired! Last year I was an utter novice, so this is my second. Absobloominlutely! I live in Cornwall so I have to make it worth the trip. What are you most looking forward to at BritMums Live 2013? Meeting the bloggers that have become close friends online. Meeting new and inspiring bloggers that I hope will become life-long friends. The sense of support from all at Britmums is tanglible. Actually taking part in one of the panel discussions alongside some incredible bloggers who are my gurus. Comfy yet trendy for the day and killer heels for the party. Really not quite sure exactly what yet though. I'll just be myself. 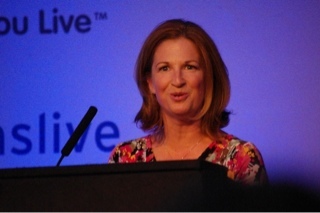 What do you hope to gain from BritMums Live 2013? To gently change a few more perceptions of Down's Syndrome from within hearts. I really need to learn how to be a bit more techy. I am such an accidental blogger. I also want to publish a book shortly, so need to make contacts for that. How wonderful, I will be looking out for you at this year's BritMums, which will be my first. I hope you enjoy it as much as last year! Don't! Come, it'll be wonderful! If I wasn't excited before about going I really am now - what a fab post. Lovely to read your post. Hope to meet you on the day. Might be able to give you a few tips on the book publishing front, I know a bit about that. Look forward to seeing you. Hope you enjoy it as much as last year (and it's reassuring to know that you bhad butterflies too, at least I am in good company!). I wish I had been there to see you last year. I can't believe I haven't met you yet given we are a pair of bumpkins from Cornwall! Will seek you out to say "Hi" and hopefully a bit more this year. I have no idea what a Cheats Mistress is but it sounds dirty lol! Eek - not long to go now... looking forward to seeing you there! Loved your answers! I'm looking forward to BritMums Live too - should be a fab event.